Empezó su carrera musical como pianista a los cinco años. Tuvo una formación clásica y pronto llegó a tocar como piano solista, pero el gusto por la improvisación rápidamente le inclinó al Jazz. Ha sido, durante veinte años, el pianista de la BigBand de la radio-televisión alemana de Frankfurt. Compositor, arreglista, profesor de Jazz en la Universidad de Mainz y en la Musik-Hochschule de Frankfurt. Sus composiciones y arreglos han sido interpretados por orquestas sinfónicas como la de Frankfurt, Hannover o Berlín así como por Big Bands de toda Europa y Estados Unidos. Manfred Kullmann ofrece un repertorio jazzístico muy amplio y de estilo inconfundible, técnicamente impecable. Se alternan composiciones propias con standards de épocas diferentes: George Gershwin, Bill Evans, Chick Corea, Thelonius Monk, Stevie Wonder, así como arreglos de temas de la música clásica. Manfred Kullmann spielt sein Instrument von Kindheit an. Nach einer soliden klassischen Ausbildung führte ihn seine Kreativität, seine Neigung zur Improvisation schnell zum Jazz – einer Sprache, die er heute perfekt beherrscht. Seine Kompositionen und Arrangements wurden von sinfonischen Orchestern in Frankfurt, Hannover und Berlin sowie von BigBands in Europa und Amerika aufgeführt. Manfred bietet mit seinem Trio ein weites Jazz-Repertoire mit eigenem, unverwechselbarem Stil an - technisch vollkommen. Es wechseln seine Kompositionen mit standards aus verschiedenen Epochen ab: George Gershwin, Bill Evans, Chick Corea, Thelonius Monk, Stevie Wonder - sowie Adaptionen klassischer Themen - sein Projekt classic goes jazz. 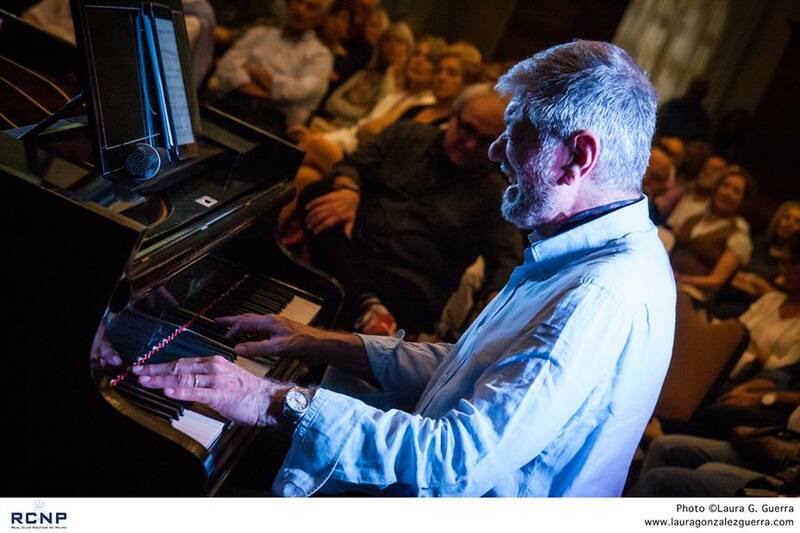 Manfred Kullmann plays the piano since childhood. After a solid classical training his creativity - his passion for improvisation quickly brought him to Jazz - a language he mastered perfectly. His compositions and arrangements have been performed by symphony orchestras in Frankfurt, Hannover and Berlin as well by Big Bands from across Europe and the United Unidos. With his trio Manfred offers a wide repertoire of jazz with his own distinctive style -technically perfect. He alternates own compositions with standards from various eras: George Gershwin, Bill Evans, Chick Corea, Thelonius Monk, Stevie Wonder - as well as adaptations of classical themes - his project classic goes jazz. Va començar la seva carrera musical com pianista als cinc anys. Va tenir una formació clàssica aviat va arribar a tocar com a piano solista, però el gust per la improvisació ràpidament el va inclinar cap al Jazz. Ha estat, durant vint anys, el pianista de la BigBand de la ràdiotelevisió alemanya de Frankfurt. Manfred Kullmann Trio oferix un repertori jazzístic molt variat i d'estil, tècnicament impecable. S'alternen composicions pròpies amb standards d'èpoques diferents: George Gershwin, Bill Evans, Chick Corea, Thelonius Monk, Stevie Wonder, etc, ì com arranjaments de temes clàssics: Eric Satie, Claude Debussy, etc.